In September 1874 the company A. Farrés and Company was established, with the commercial name of Cristalería Badalonesa. This company succeeded Badia, Grau i Companyia, founded in 1866, which had changed its name according to the partners it had. In January 1908, the society of A. Farrés and Company, popularly known as Cristall, joined the Unión Vidriera de España, a trust driven by Artur Farrés, who grouped the ten most powerful Spanish glassware, seven of which were Catalan. Finally, in the year 2014, one hundred forty-eight years after the start, Cristal Badalona, SAL (this was the name that had then the company) closed definitively and donated to the Museum some old photographs that they have kept This is a report by the Badalona photographer A.S. Xatart, thanks to which we can know the different work spaces of this important factory located in the northeast corner of the town, and that was the place of work of many families in Badalona. 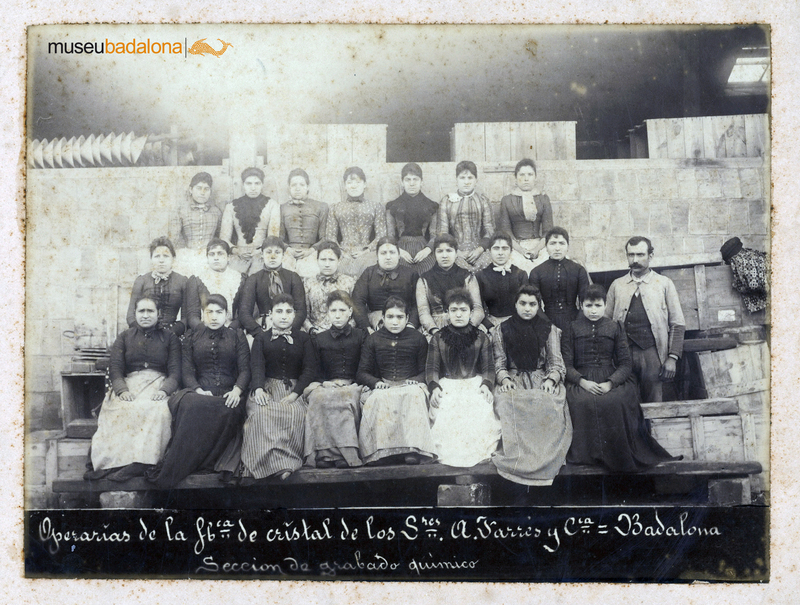 In this gallery you can also see a set of four photographs of groups of Cristall workers, made by Sanglàs, a photographer from Barcelona, who have not been ceded by Cristall, but who are also part of the Image Archive of the Museu.